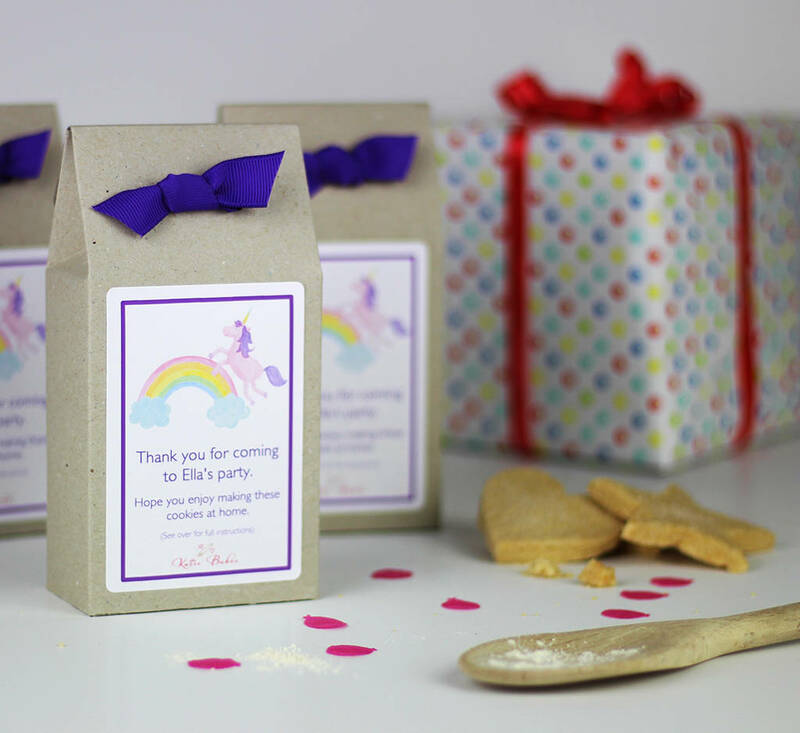 A gorgeous, Unicorn themed, personalised party bag containing a delicious shortbread biscuit mix for your party guests to bake at home. 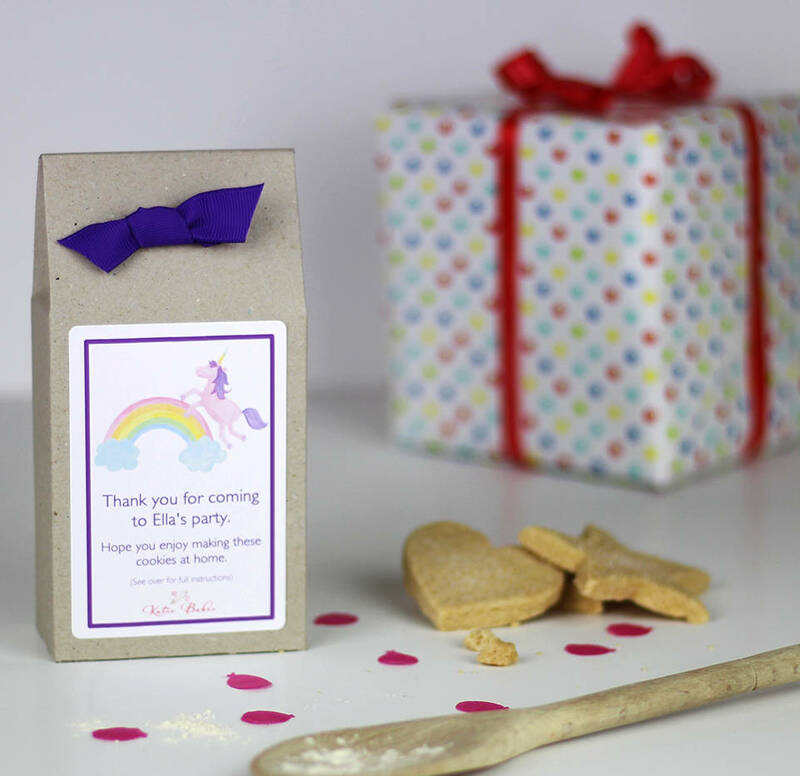 These foolproof shortbread biscuit mixes, which produce delicious results are packaged in pretty personalised gift boxes and are perfect for you guests to take home as a party bag. 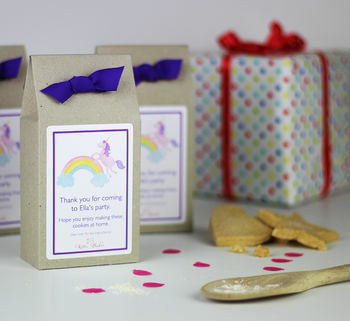 They also make a great gift for any occasion, feel free to add your own message. Perfect as a birthday gift, to say thank you, or good luck.